After retiring in 1987, Frank Sardelis, a baker by trade, decided to use his baking experience to create a new snack bar. 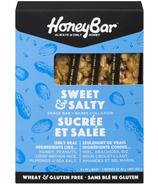 Recalling the snacks from his boyhood days in Greece, a traditional treat made with sesame seeds, honey and sugar, Frank developed the first HoneyBar. 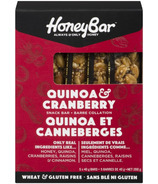 But instead of using sugar he sweetened the bar with only honey, creating a better and healthier bar - a HoneyBar! The ingredients were sesame and ONLY honey. Then suddenly, Frank got sick and his daughter Mary, decided to take a sabbatical from university to help out her dad. Unfortunately, it wasn't long before Mary had to completely take over from her now ailing father. She expanded on her father's dream, adding a Mixed Nut Bar (today called Trail Mix) and a Mixed Sesame Bar to the product line. In 1995 Mary decided to sell the company. 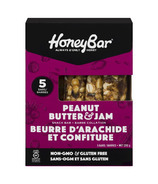 Since then HoneyBar has launched new flavours to meet the wishes of their customers. As always, it is their commitment to use only real ingredients, and keep their customers delighted! Always and only honey!